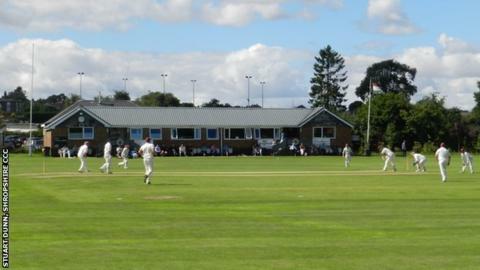 Shropshire are to host a Twenty20 challenge match against the Birmingham Bears at Bridgnorth on 21 May. The game will be played as a warm-up for the rebranded Bears ahead of their opener against Yorkshire at Edgbaston in this summer's T20 Blast. "We'll field a strong team to ensure we're ready for this new-look tournament," said Warwickshire director of cricket Dougie Brown. "We're very grateful to Shropshire for giving us the opportunity to play." Having hosted games with their other neighbouring first-class county Worcestershire for the last three years, at Wellington, Shrewsbury and Shifnal, Shropshire are pleased to have been given the chance to take top-level cricket further round the county. "It's a great coup," said Shropshire chairman Toby Shaw. "Bridgnorth is a lovely venue, not too far from Birmingham." The game is scheduled to commence at 17:30 BST.